Toledo is one of the most popular tourist destinations in Spain. Located just 70 kilometers south of the Spanish capital of Madrid, Toledo is a walled city that dates back to 192 BCE. 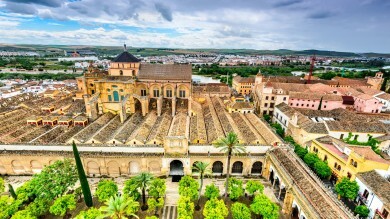 Famously known as the City of Three Cultures, Toledo’s architectural style reflects its diverse and rich history that includes successive Islamic, Jewish and Christian occupants. Sitting high above the Tagus River is the centerpiece of the city, the Toledo Cathedral. This massive building offers stunning views of the town as well as the surrounding countryside. 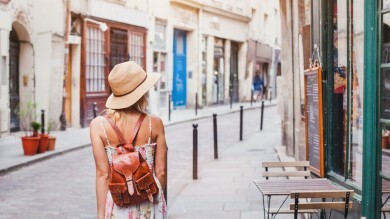 As you make your way down and around the city you’ll encounter a myriad of religious sites, museums, restaurants, and shops just waiting to be explored. The cheapest way to travel between Madrid and Toledo is by bus. Buses depart from Madrid’s Plaza Eliptica bus station, which is located nearly 5 kilometers south of the city. It can be reached on foot or via the grey Circular metro line. Buses are operated by ALSA, one of Spain’s main bus companies. The coaches are clean, comfortable, and air-conditioned, and the services is generally on time and reliable. There is no direct way to travel to Toledo from Madrid-Barajas Adolfo Suárez Airport. To take the bus from Madrid to Toledo, you must first transfer from the airport to the bus station via the pink and grey metro lines. Tickets for ALSA’s Madrid to Toledo bus can be purchased at the station or online in advance. Tickets currently cost USD 6.32 one-way or USD 12* return. The fastest way to get from the airport to the bus station is via metro. Take the pink line to Nuevos Ministerios. From there, transfer to the grey line (direction Laguna) getting off at Plaza Eliptica. Trains run from the airport to the bus station between 06:05 and 02:00 and depart frequently throughout the day. Buses run every half-hour throughout the day until 21:00. Fewer buses may be available on weekends and holidays, so ensure to check the schedule in advance. The journey between Madrid and Toledo is approximately 90 minutes as the bus stops at several towns along the way. The fastest way to travel between Madrid and Toledo is the AVE high-speed train. Trains depart from Madrid’s Atocha station, which is a short 25-minute walk south from the centre of the city. AVE high-speed trains are operated by RENFE, Spain’s main train service. Coaches and cars are spacious, relaxing, and offer a variety of amenities, including snacks, drinks and bathrooms. 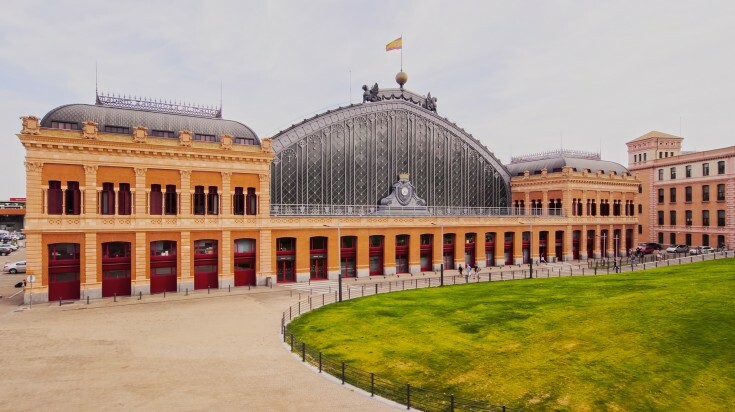 From the airport, Atocha Station can be reached via the C1 Cercanías commuter train line or bus 203. This leg of your journey will take between 40 and 60 minutes respectively. Tickets can be purchased for the Madrid to Toledo train at the station from an agent or via the purple RENFE ticket vending machines, or online. Make sure you book at least an hour before your scheduled departure. Tickets currently cost USD 12* each way per adult. Trains run regularly from Madrid between 06:50 and 21:50. From Toledo trains depart almost hourly between 12:25 and 18:25. Boarding starts 30 minutes prior to departure and gates close five minutes before you’re scheduled to leave. Toledo train station is located nearly 2 kilometers down hill from the city’s main attractions. The easiest way to reach the Cathedral is via bus. Take bus numbers 5, 61 or 62 to the Plaza de Zocodover and make the short walk to the Cathedral. Urban bus tickets currently cost USD 2* and can be purchased from the drive. Renting a car for your day trip to Toledo allows you the most control of your journey. Many internationally recognized and local companies are established at the airport as well as throughout the city. Rates vary depending on the company and the length of time you choose for your rental. The journey to Toledo is incredibly straightforward. Follow the A-42 freeway southwest from Madrid. Toledo will be well and clearly marked on road signs. The drive will take approximately one-hour, depending on traffic and how many stops you choose to make along the way. 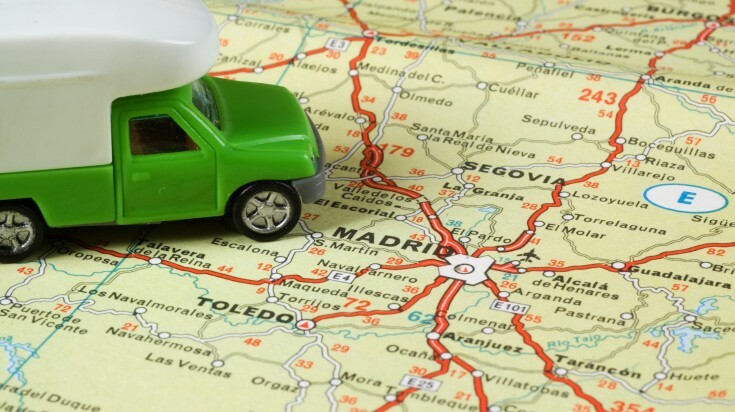 To rent a car in Spain, you must be at least 21 years of age and possess a valid driver’s license. Parking in Toledo is limited and difficult to find. The best place to park is the large garage on Calle de Santa Ursula in the centre of the city. Rental and fuel rates depends on the company you choose. To get the best deal, make sure you are clear on the conditions of the insurance policy and fuel rates before you agree to the rental price. The most convenient way to visit Toledo is on an organized tour. Sit back, relax and enjoy a hassle free trip as you travel from Madrid to Toledo via air-conditioned and comfortable coach. The majority of Toledo tours from Madrid include stops at all the city’s most iconic sites, including the stunning Cathedral, the Church of St. Tome, the Synagogue of Santa Maria la Blanca, and the panoramic Mirador del Valle viewpoint. Prices range between USD 21 and USD 67*. All tours include transportation to and from Toledo, while only some tours will include entrance fees. Certain tours will also include specialty items, like riding the longest urban zip line in Europe or taking a 50-minute train ride throughout the city. A standard Madrid to Toledo day trip tour will depart from the capital either in the morning or afternoon and will last around five hours. Toledo is a small city with a rich and diverse history. There are a number of ways to travel from Madrid to Toledo that will suit any style and budget. 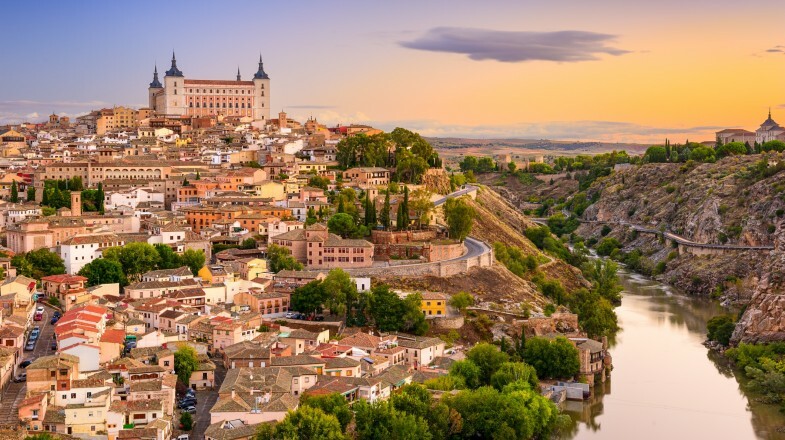 Home to stunning attractions and unbelievable architecture, a visit to Toledo, the City of Three Cultures is a must for anyone visiting Madrid.